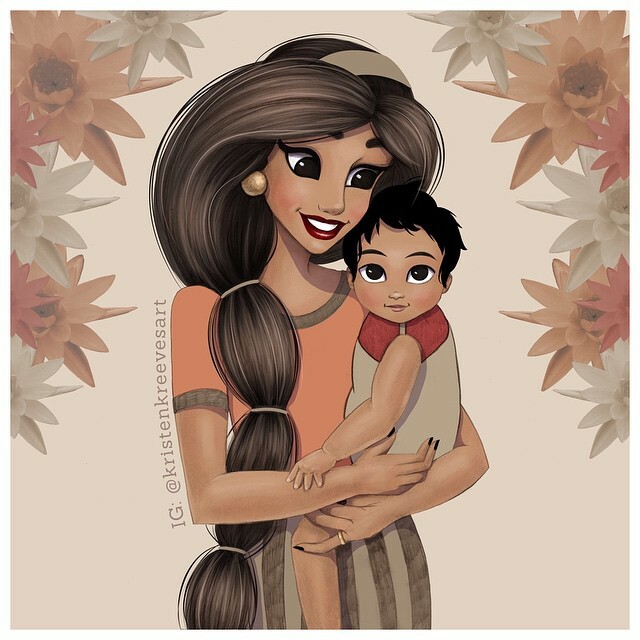 Arist Kristen Keller Reeves reimagined Ariel, Belle, Jasmine and Rapunzel as mothers. Check out the illustrations below. 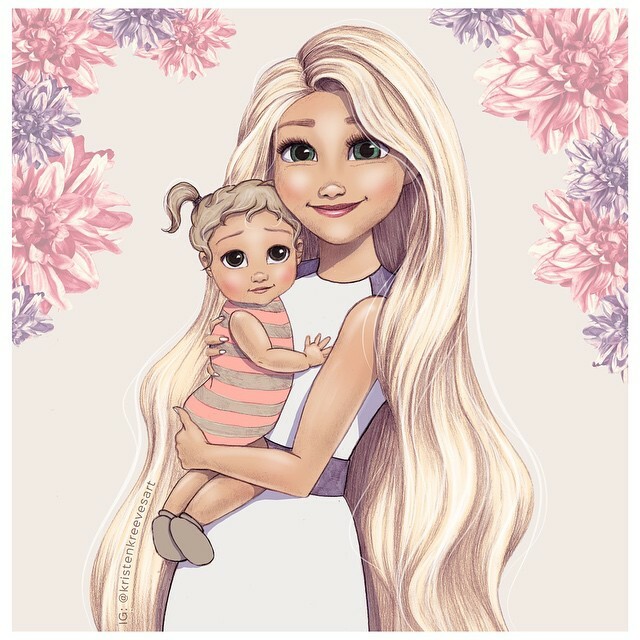 Rapunzel "sees the light" — shining from her daughter's eyes. 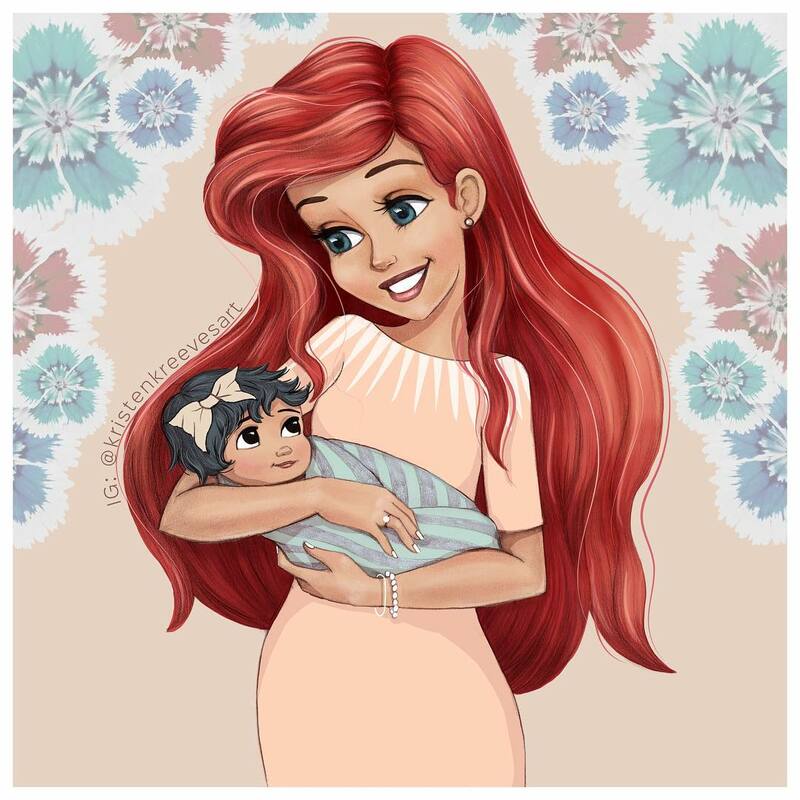 Ariel would give just about anything to be a part of her daughter world. 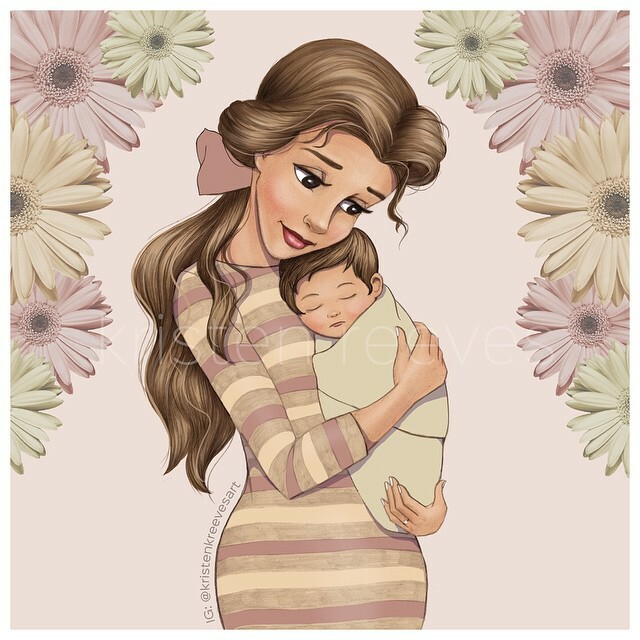 For Jasmine, motherhood's a "whole new world"
It's a tale as old as time: putting a baby to sleep can be a beastly task, but Belle knows there's no greater beauty.